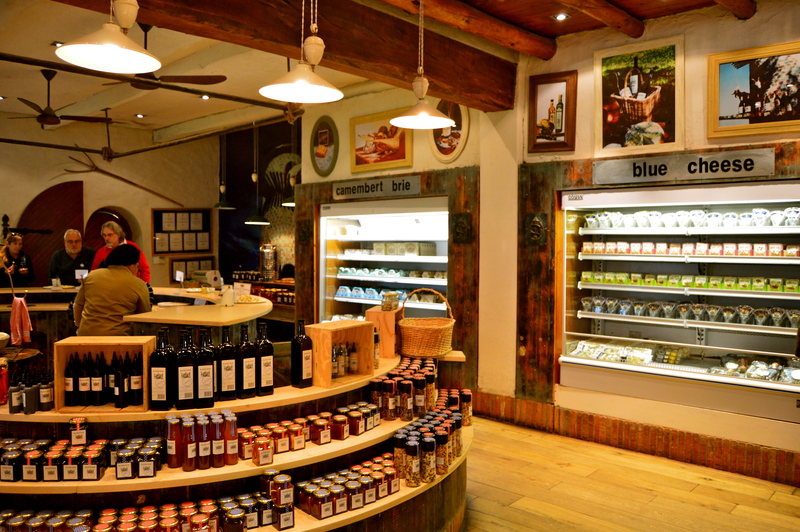 One of the most memorable foods I ate in South Africa was not from a South African restaurant but rather a Bavarian cafe. 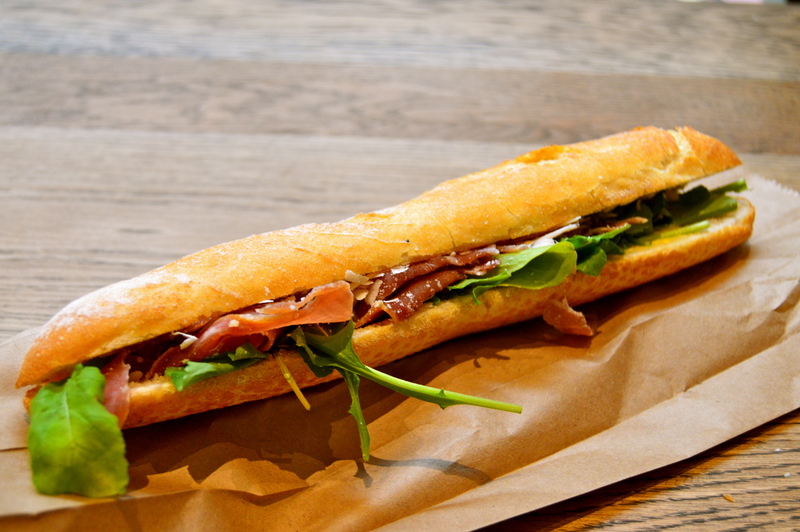 I had a long and thin baguette sandwich with prosciutto, baby arugula, and parmesan cheese. It was very simple and on second thought, this sandwich sounds more Italian than Bavarian to me. 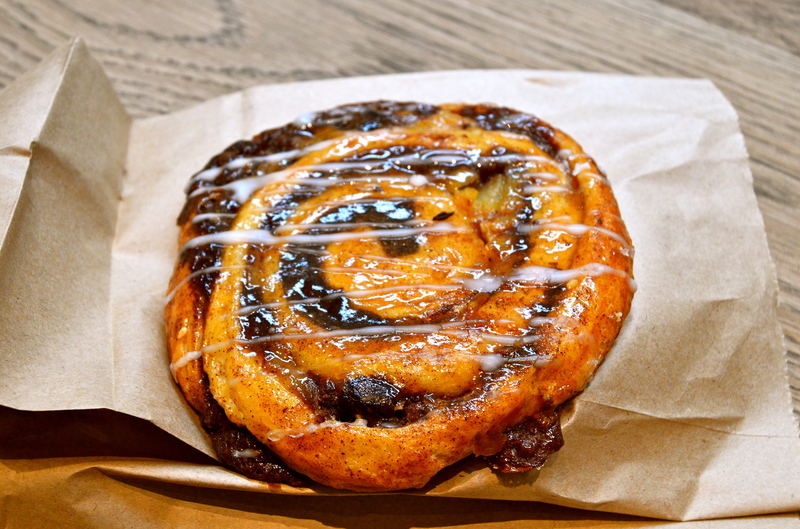 For dessert, I ordered a cinnamon and apple danish. I was intrigued at how well the apple complemented the cinnamon. 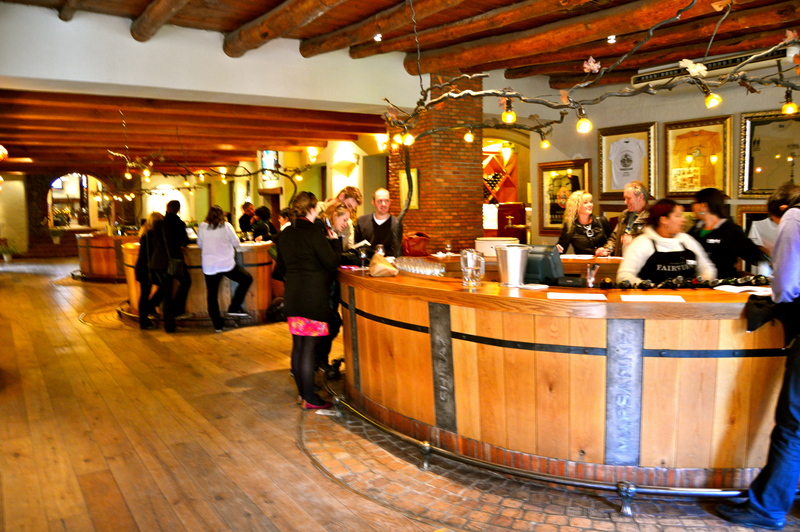 After our brief but satisfying lunch, my mom and I began our wine tour. 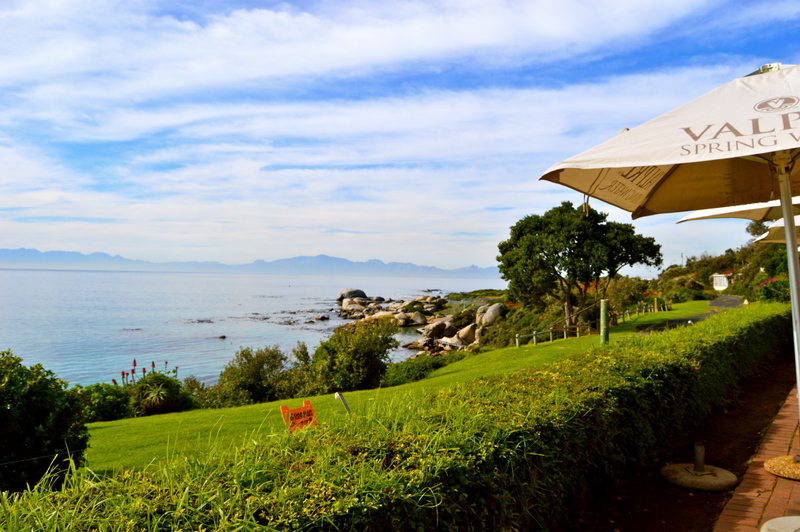 We decided to dedicate one of our two afternoons in Cape Town tasting wine because South Africa is known for their wine. 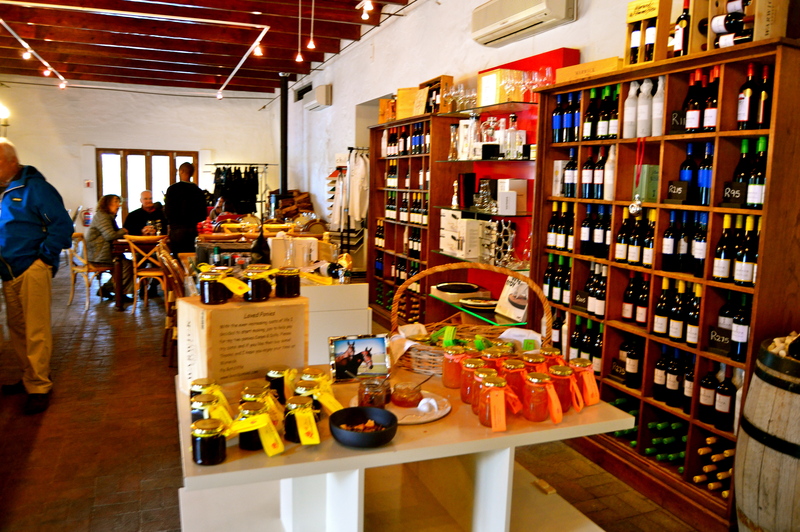 There are also a lot of wineries relatively close to Cape Town. 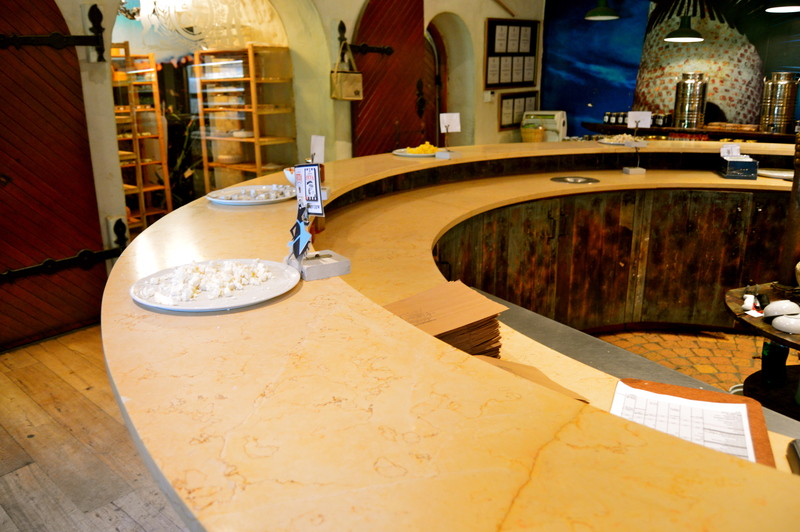 We first went to Fairview, a beautiful winery which sells several wines, cheeses, and other awesome food products. 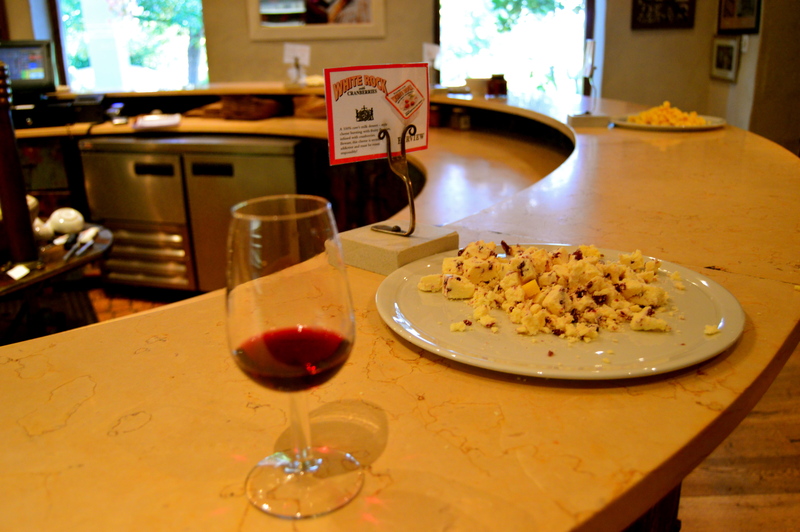 My mom and I sat at a table in the tasting room and sampled 6 different wines we picked from a menu and a variety of interesting cheeses. 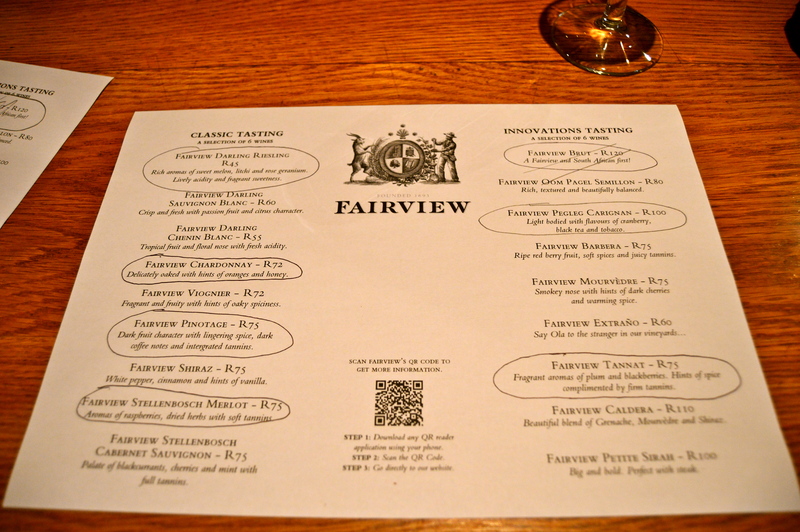 My favorite wines from Fairview were the Darling Riesling, the Fairview Chardonnay, and the Fairview Stellenbosch Merlot. The Riesling was nice and sweet and tasted like melon, the Chardonnay was a bit dryer but still light with hints of orange and honey, and the merlot had a good amount of body but didn’t feel heavy. The cheeses included honey chèvre (I liked it but my mom didn’t), garlic camembert (very good), a feta which tasted too salty, parmesan (yummy), and a cheese with cranberries (not my favorite). 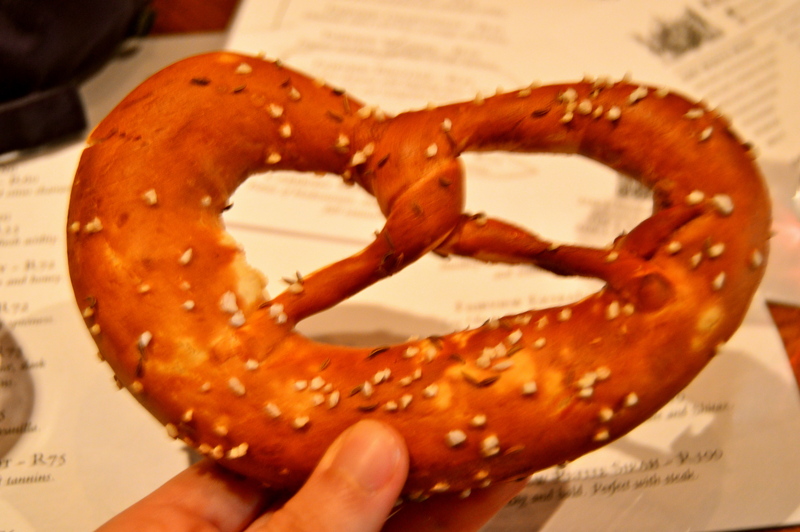 My mom and I also split a pretzel which was very tasty. THAT is more Bavarian! 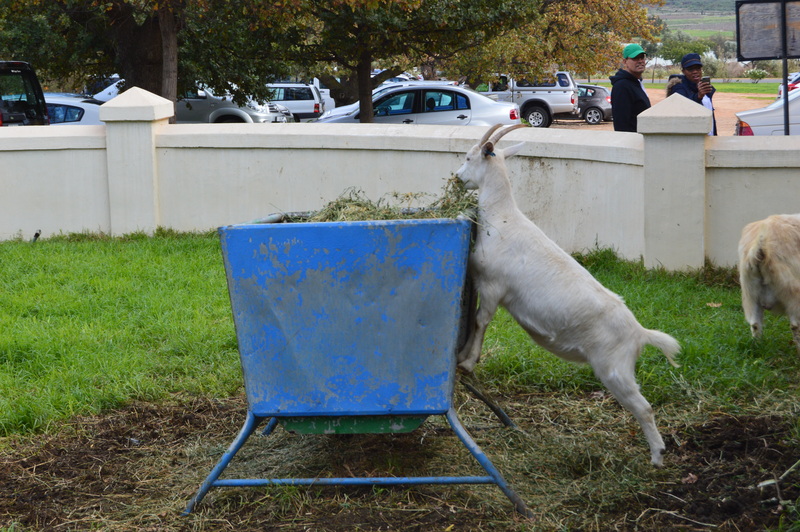 There were goats outside of Fairview, and I wonder if they make the goat cheese from their milk. 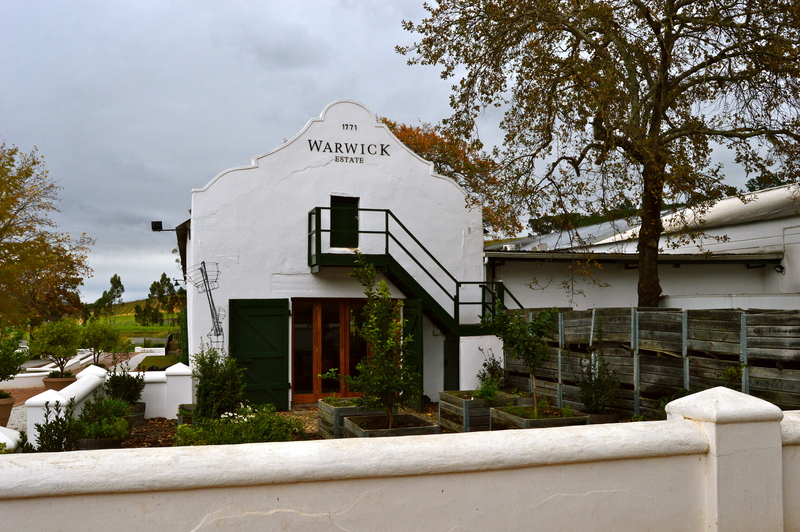 After a pleasant experience at Fairview, we went to our second and last winery called Warwick. 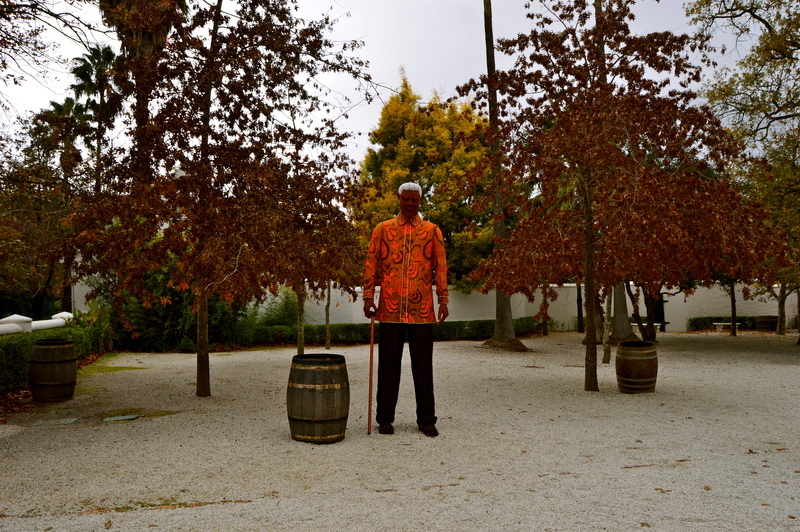 Unfortunately, the wineries close around 4 or 5pm, so we were pressed for time. I liked Warwick even better than Fairview. 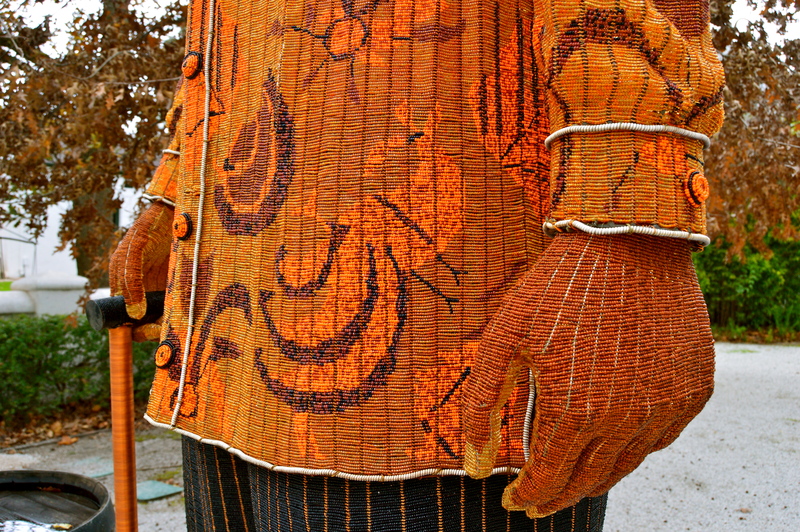 There was a huge Nelson Mandela figure made entirely of tiny beads right outside of the Warwick winery. It definitely was a winederful day! 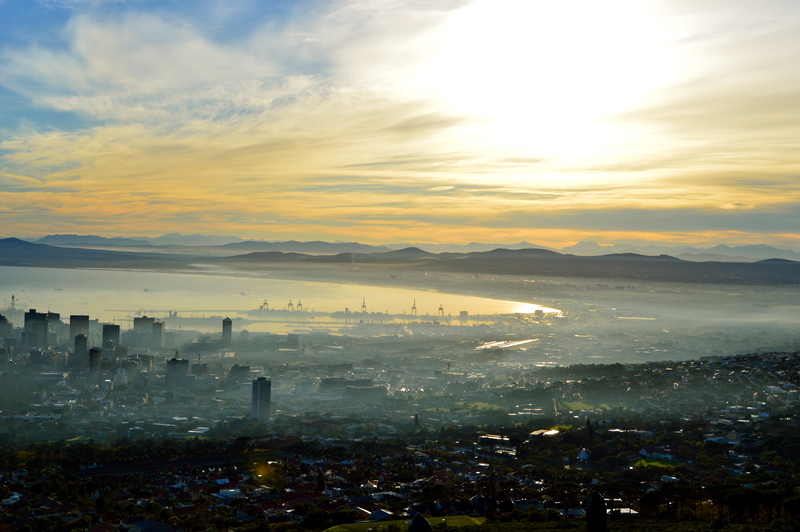 I just got back from my trip to South Africa yesterday in the late afternoon. 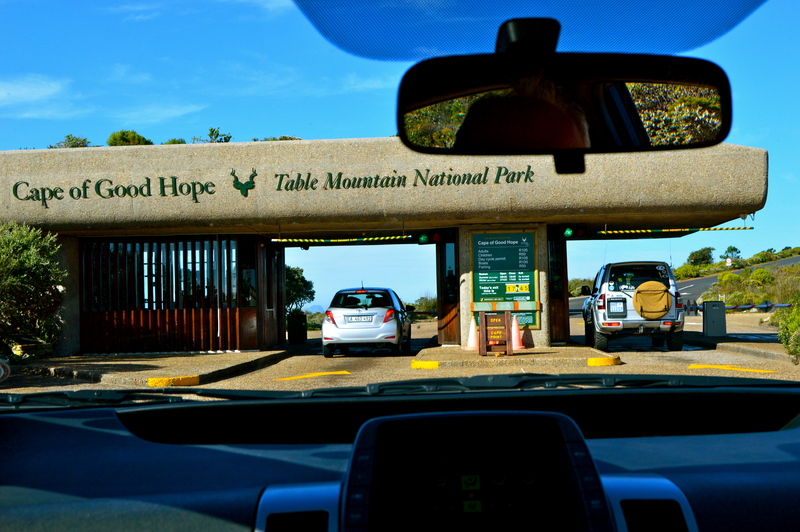 My mom and I went to Cape Town, Kruger National Park, Johannesburg, and Victoria Falls (in Zimbabwe) in a mere 10 days! It was a lot of traveling to say the least (our return trip took 2 whole days), but my vacation with my mom was the best college graduation present I could have ever imagined. 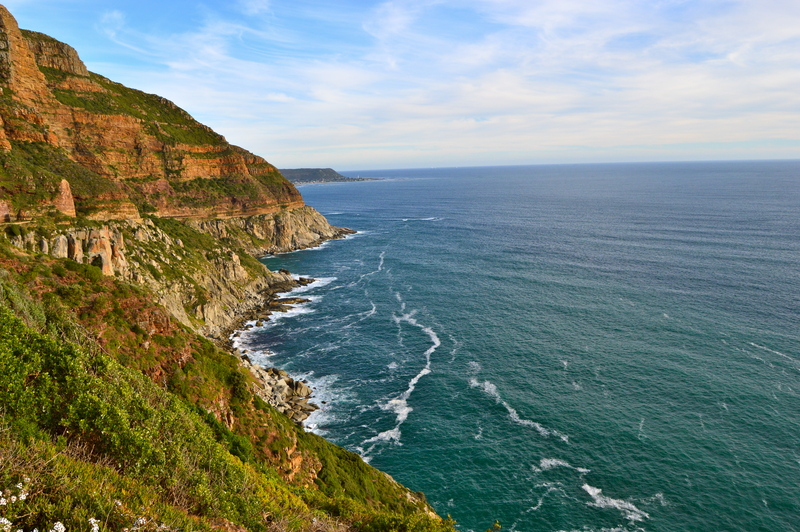 The trip in general was one of my most memorable experiences, and I recommend South Africa to anyone in search of a travel destination. I would love to go back in the future. 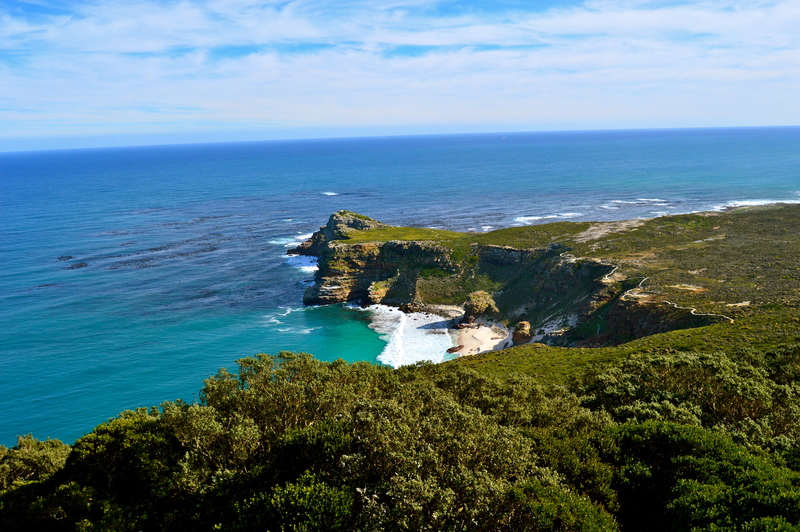 I soon found out how beautiful Cape Town is – it is right on the coast and is surrounded by mountains. 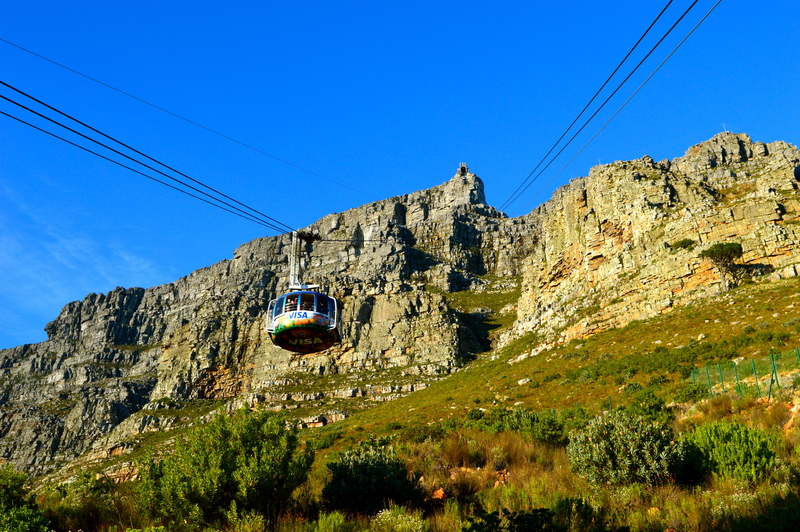 We commenced our journey on Table Bay where we went up Table Mountain. We took a round cable car up which had a floor that turned full circle along the ride, so we could see the panoramic view. 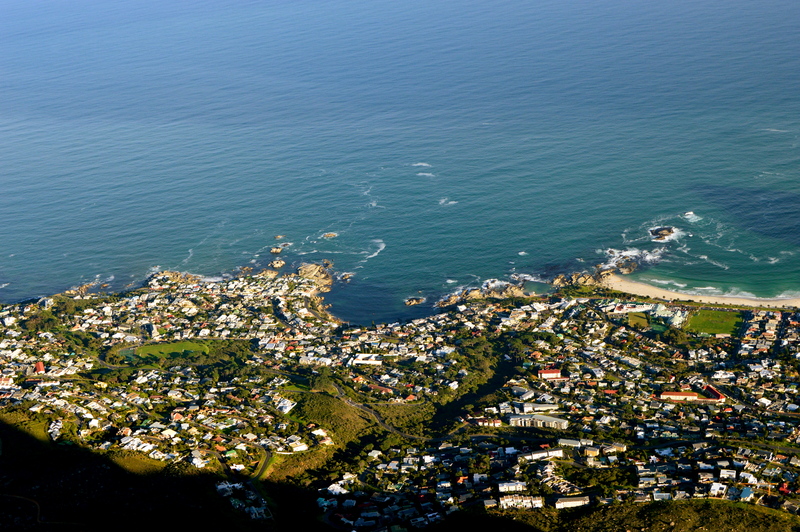 The view from Table Mountain was spectacular. It was fairly cold on Table Mountain (42 degrees Fahrenheit) not only because it is 1085 meters above sea level but also because June is winter in Cape Town. My mom and I tried to take a few pictures of ourselves, but the wind was blowing our hairs every which way. 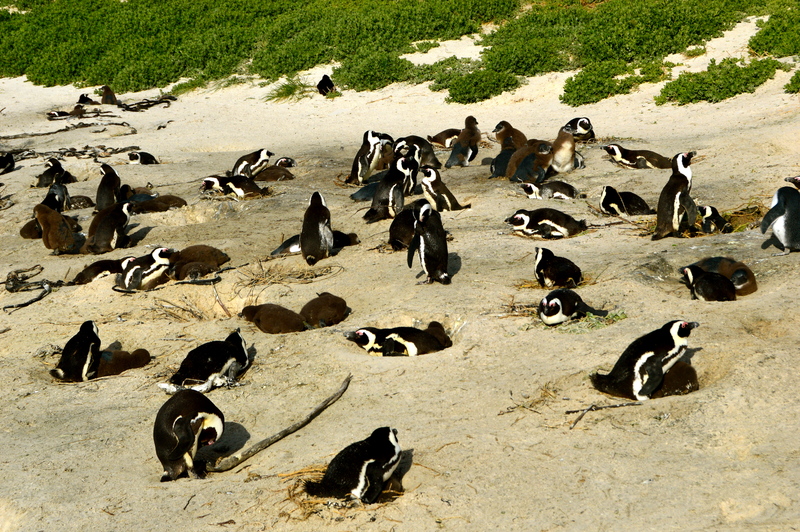 We then made our way south to Simon’s Town, where we visited the penguin colony. It was my first time seeing penguins in the wild, so this was awesome! Also, I tend to associate penguins with cold climates because I think of the movie March of the Penguins. Reality check: not all penguins live in Antarctica. The penguins were adorable. Apparently the locals call these penguins “jackasses” since they make donkey sounds. They really do sound like donkeys. 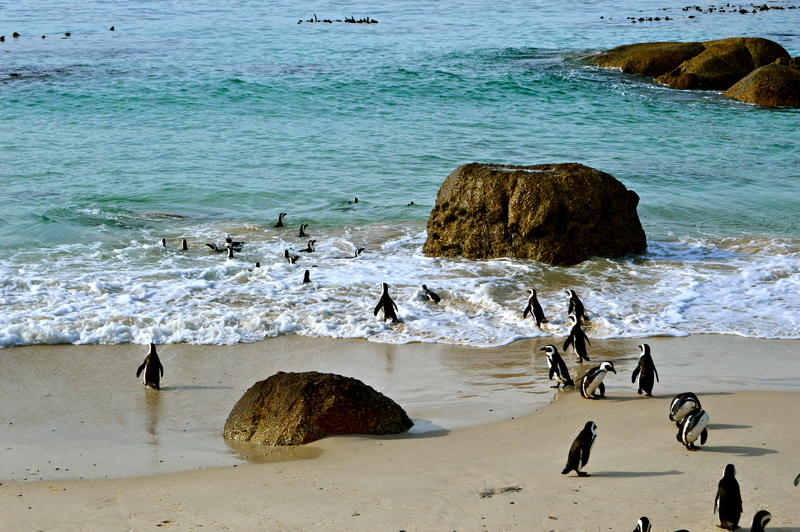 They are also known as African penguins. 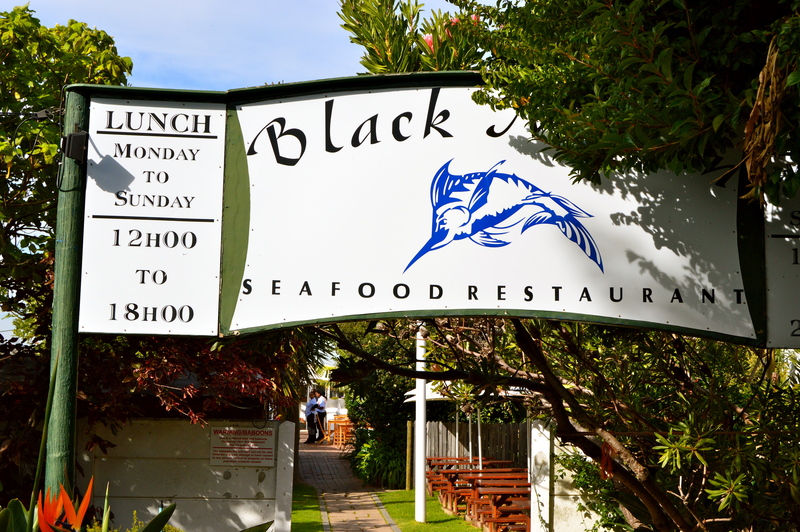 After the penguin colony, we ate lunch at Black Marlin Seafood Restaurant. 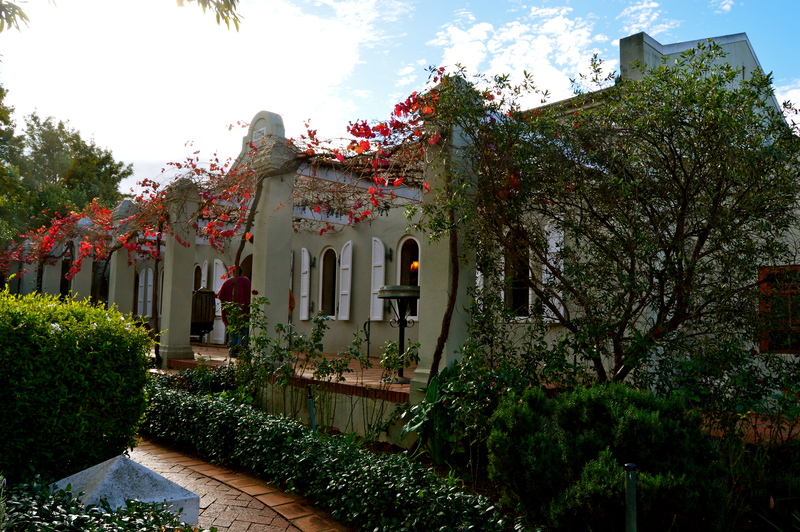 The restaurant is very scenic, and we ate outside to enjoy the view. 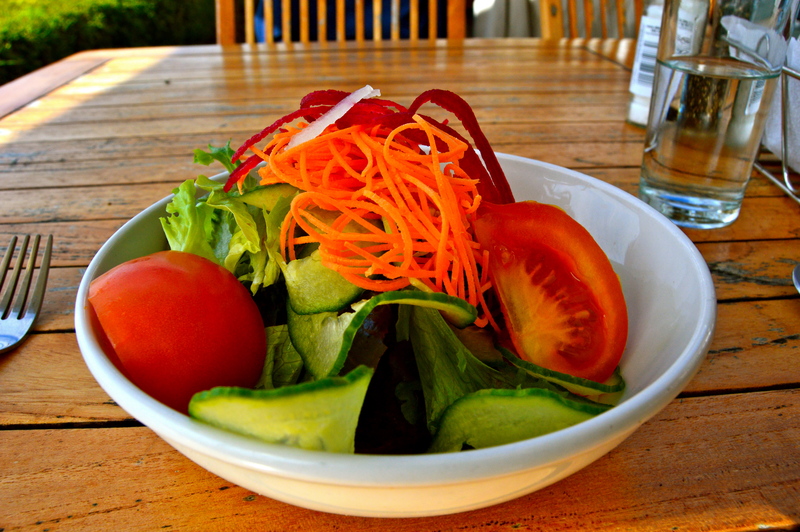 To begin with, I had a fresh salad with cucumbers, tomatoes, and shredded carrots. It was very refreshing and a great start to the meal. 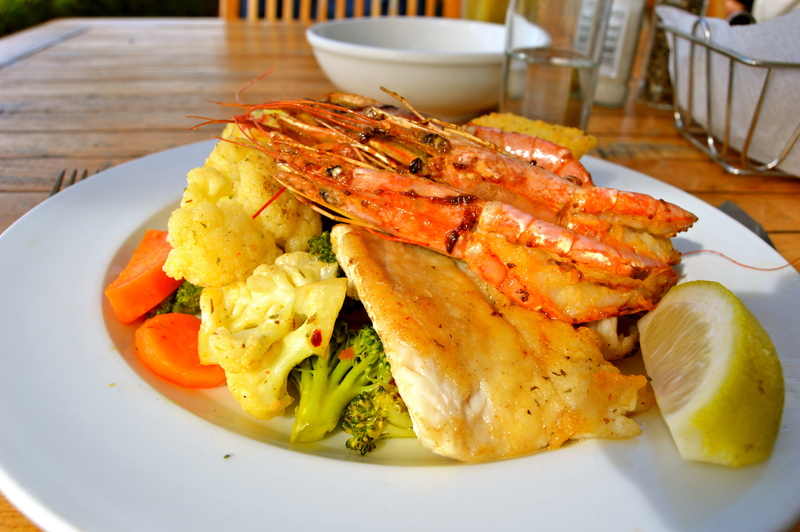 For my main dish, I had hake with prawns, calamari strips, and sautéed vegetables. The prawns had some sort of sweet garlic sauce which was fantastic, and the calamari strips were lightly fried, but amazing also. Overall I was very happy with this dish. 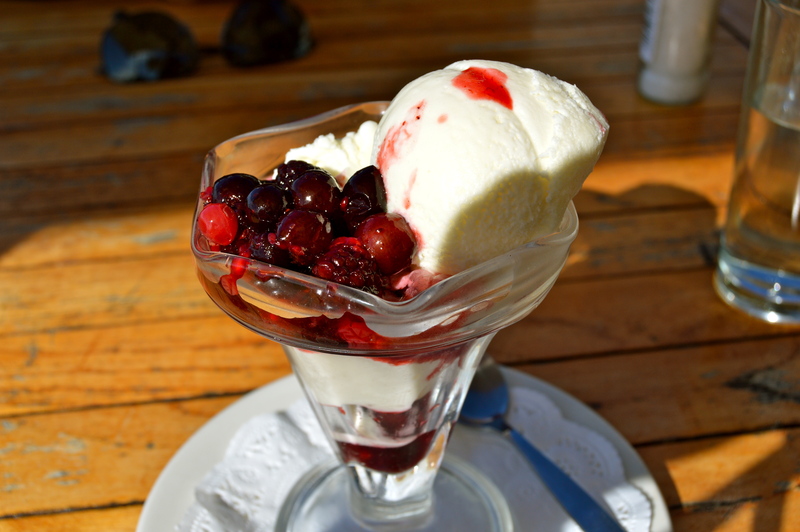 For dessert, I got vanilla ice cream with a yummy berry sauce. 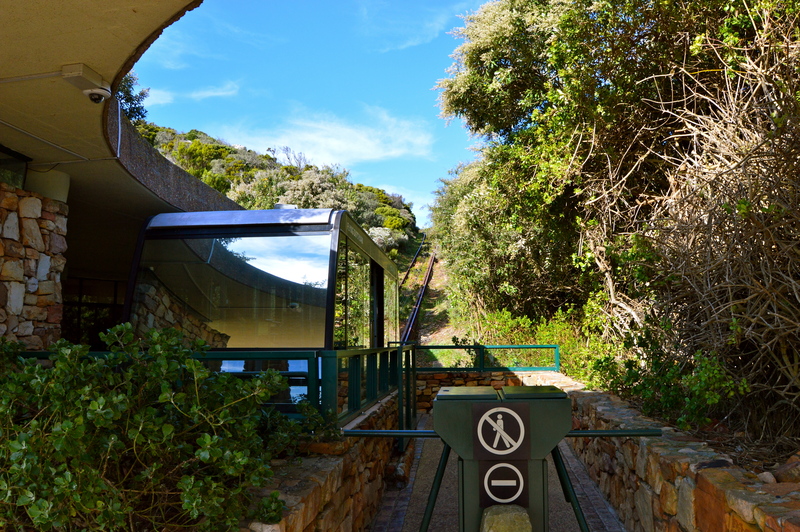 After lunch, we went to Cape Point where we went up a funicular for yet another stunning view of the water. 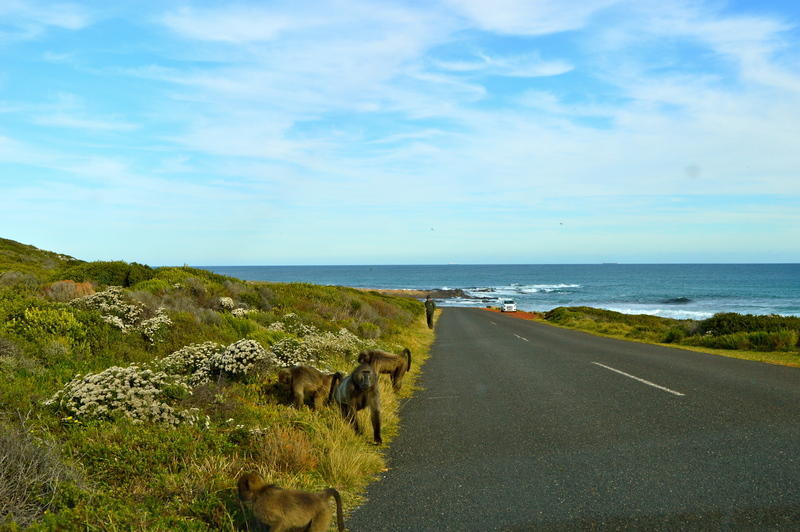 On our ride to Cape of Good Hope, we saw a group of baboons which literally opened the car doors! I nearly had a heart attack. Curse you opposable thumbs! But luckily, the baboons did not enter the car. Apparently, the baboons go into unattended cars and take backpacks and other belongings in search of food. They are such devious and smart creatures. I unfortunately only managed to get a picture of the baboons while they were farther from the car and before they actually opened the doors. 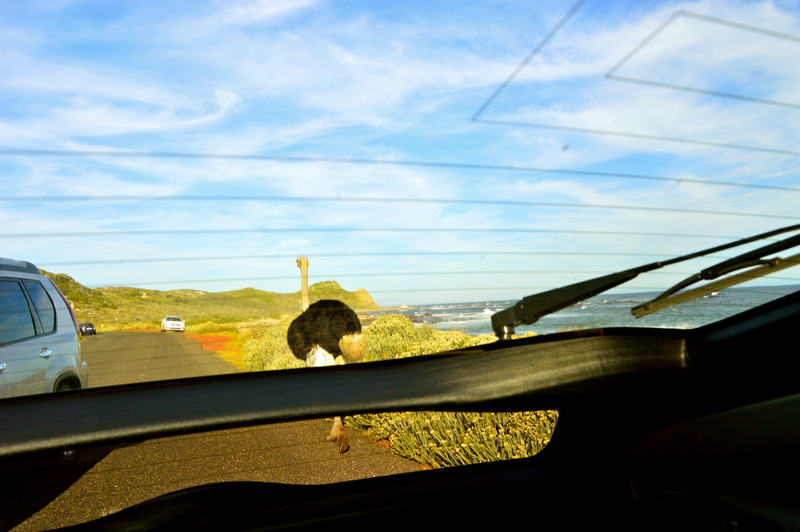 After that scare, we saw an ostrich pass right by our car! Whenever it gets really hot, I crave all things fresh. The fruits and vegetables look beautiful these days, so I am trying to take full advantage of all of the wonderful produce. I decided to make a vegetarian burrito tonight for dinner, which reminds me of the rainbow when I look at it. 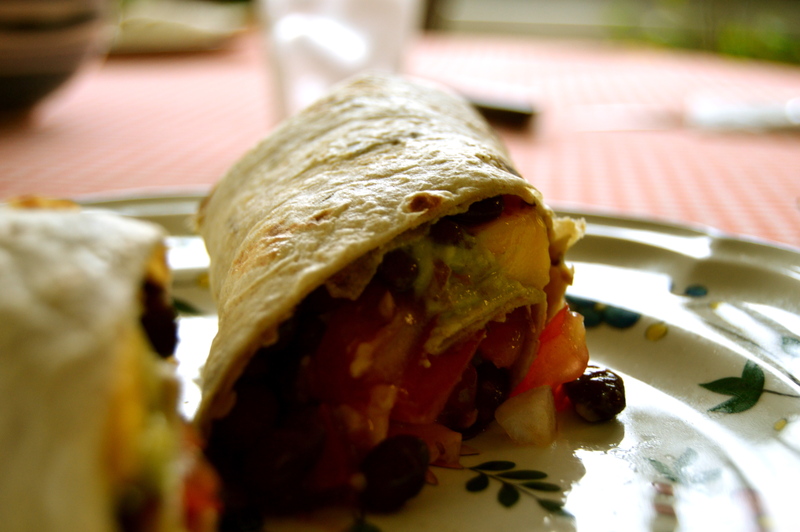 This burrito bursts of flavors with juicy mangoes, tomatoes, lime juice, and hearty black beans. 1) Combine mango, onion, tomatoes, jalapeno, and the juice from half a lime in a large bowl. Add a little salt and pepper. 2) Cut the avocado and mash with a fork (do not over mash the avocado if you want your guacamole to be on the chunkier side). Add the remaining lime juice to the avocado, and sprinkle a little minced garlic as well as some salt and pepper. Mix the guacamole. 3) Meanwhile, heat the black beans in a saucepan until hot. Strain the liquid with a sieve. 4) Optional: heat the tortillas in a hot cast iron pan for 15 seconds on each side (30 seconds total). 5) Divide the black beans accordingly and put in the tortillas. 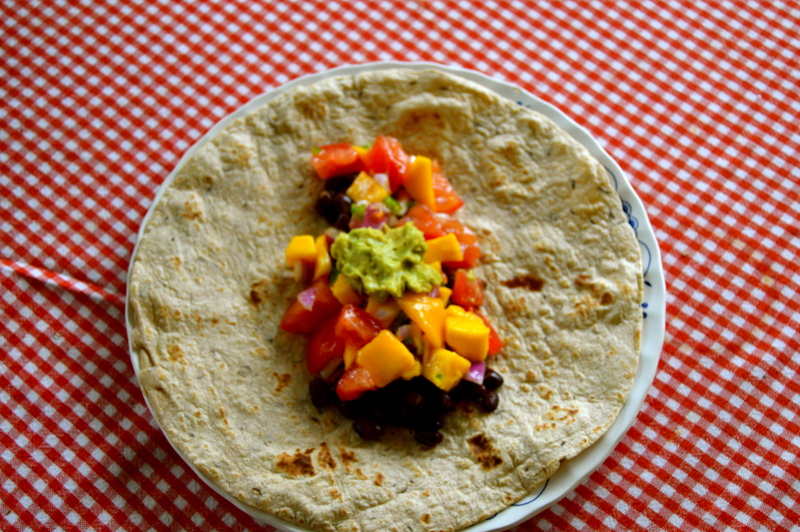 Add the mango and tomato mixture, and put a dollop of guacamole on top. 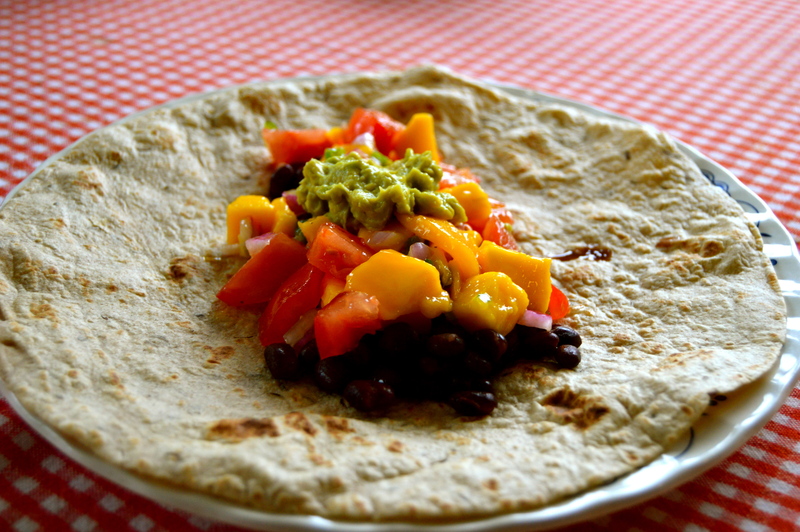 6) Fold over the ends of the tortilla and roll into a burrito. Serve with the remaining guacamole on the side. There is something very comforting about banana bread. 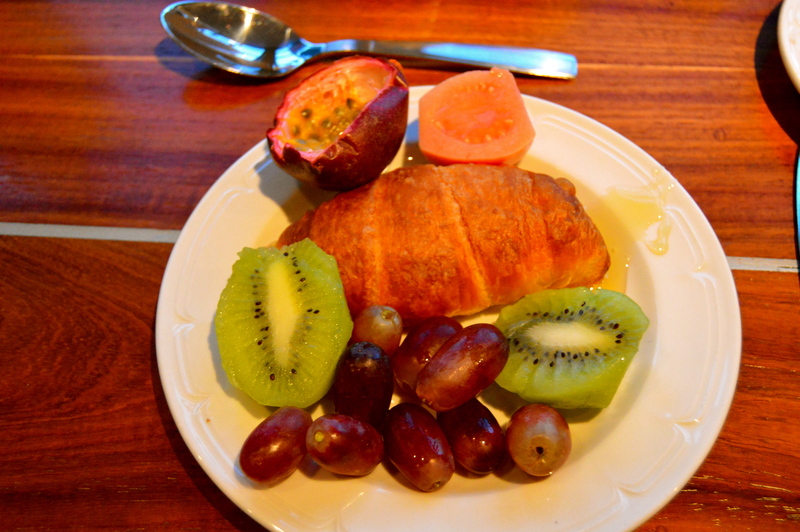 It is something I love eating in the morning with a cappuccino or in the afternoon as a snack. 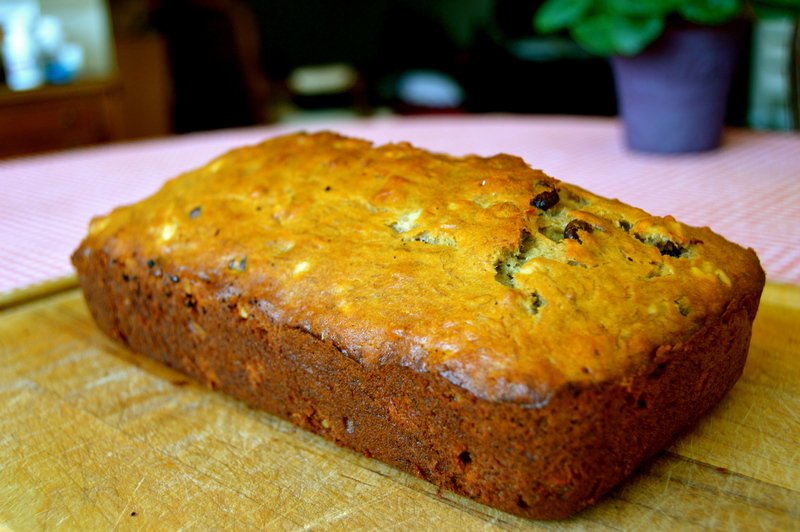 For me, banana bread is not very memorable and tends to be nothing to write home about. I do not have any funny or witty stories to tell you about my experiences with banana bread. But I need to have those food items that when I eat, I enjoy but am not flooded with a ton of memories of my childhood or important events in my life. Feeling too many emotions can be exhausting! Banana bread is delicious and reliable, and those are two important traits I look for and crave in food. 1) I use 2/3 cup of sugar, rather than 1 cup because I think the banana bread is sweet even with the reduced amount of sugar. 2) I add a handful of chopped pecans for even more texture and flavor. 3) I add two handfuls of chocolate chips because I love chocolate. 4) I use ripe but not overly ripe bananas. I find the banana flavor is a little more mild than when using overly ripe bananas. I would have to say that one of my indulgences is smoked salmon. My salt tolerance is fairly low, so it’s a bit surprising that I love smoked salmon so much since it is pretty salty. I actually enjoy the saltiness of smoked salmon. I wonder if I love its taste because I grew up eating it. Starting when I was in elementary school, on a beautiful day of any given weekend, my mom and I would often decide to make the trek from the east side to the west side to go to Zabar’s, a specialty store which sells amazing smoked salmon. (I definitely recommend going there if you are ever in NYC). We crossed Central Park to get there (yes, I was already walking a lot at a young age). We usually went around lunchtime to stop in the Zabar’s café right beside the store and order Zabar’s special – a bagel with cream cheese and smoked salmon, which came with coffee and freshly squeezed orange juice. (Though when I was younger, I didn’t drink the coffee). The bagel was not the best bagel I had in NYC, but for some reason, it tasted amazing with the cream cheese and salmon on it. I just want to be clear that the bagel is still good. I have not been to Zabar’s since I came home from college, but I will be making my way there soon. My mom actually went to Zabar’s recently to buy some smoked salmon. 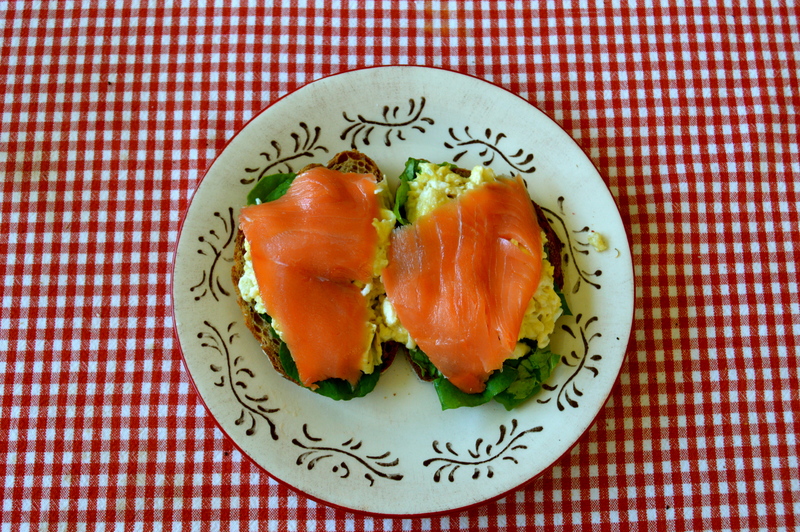 Rather than eating smoked salmon with a bagel yesterday, I put some arugula on two slices of toasted whole wheat bread and added scrambled eggs and smoked salmon on top. For a surprising kick, I flavored the olive oil I cooked the eggs in with rosemary. (We have a lot of rosemary in the house if you couldn’t tell already from my most recent blog posts. 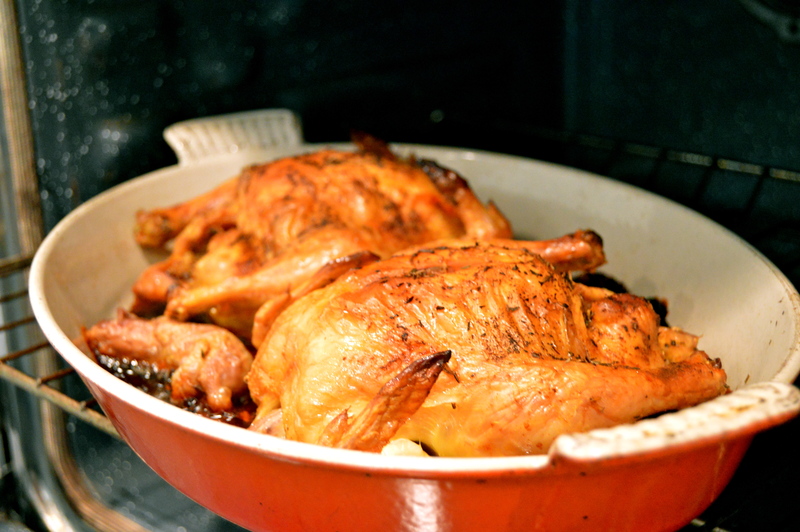 To flavor the oil, cook a rosemary sprig under low heat in 1 teaspoon of olive oil for 1 minute and remove. Then add the eggs and scramble. 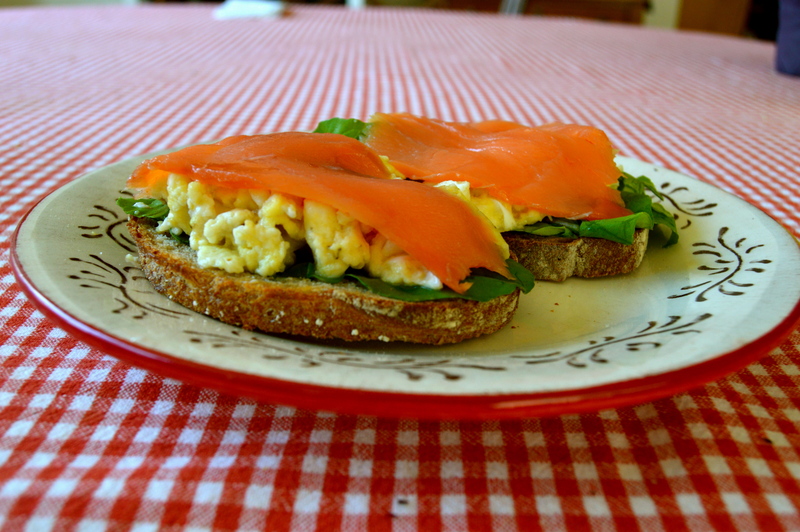 Note: I did not add much salt to the eggs since I knew the smoked salmon is already salty). So Many Birds: Spring is Here! 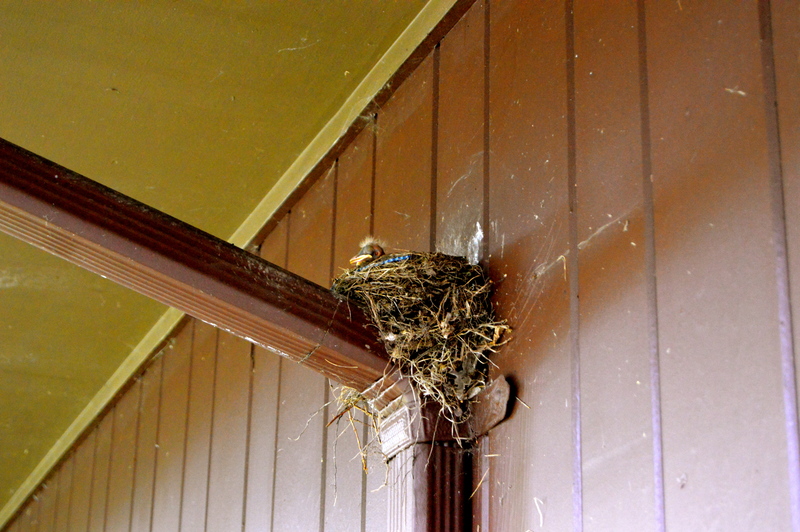 I went to my grandma’s house in Westchester and was delighted to find out that there were two birds’ nests outside my grandma’s, one in front of the house and the other in the back. Throughout the afternoon, my grandma and I went back and forth to check on the birds. We tried ever so carefully to open the doors without making too much noise to scare off the mother birds. 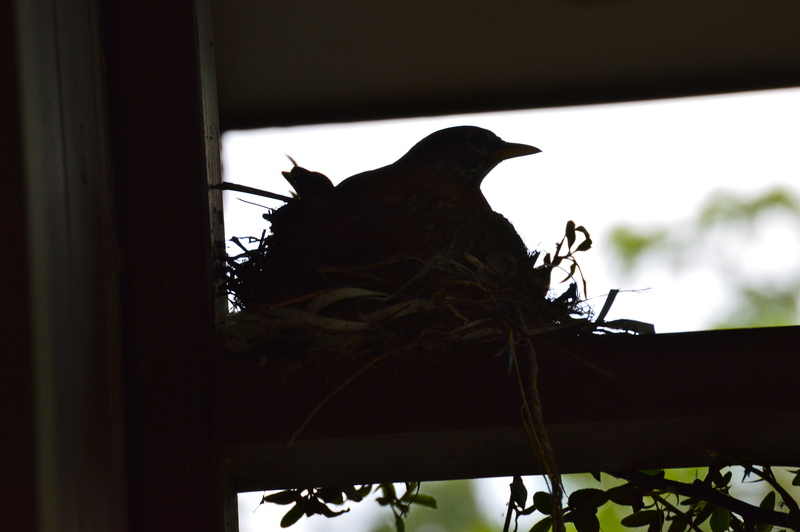 Inevitably, one of the mothers flew off a few times, so we convinced ourselves that we did not cause her flight but rather that she was getting food for her newly hatched young. I saw a baby bird in its nest for the first time ever! It was beautiful though not actually because it had barely any feathers. There it is in its nest! The other nest’s eggs have not hatched yet. Below is a photo of the mother laying on her eggs. 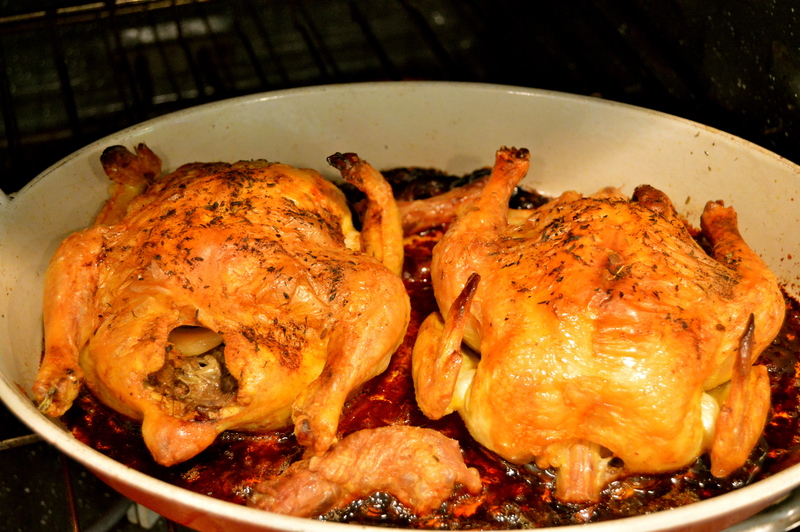 Ironically, we ate another type of bird for lunch – cornish hen. I tried not to think about the fact that a cornish hen is a bird. 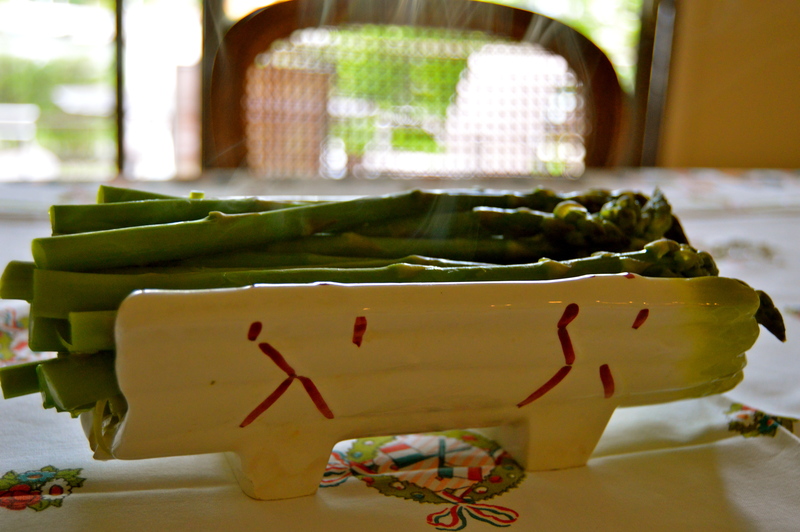 It was very delicious nonetheless, and we ate steamed asparagus alongside. 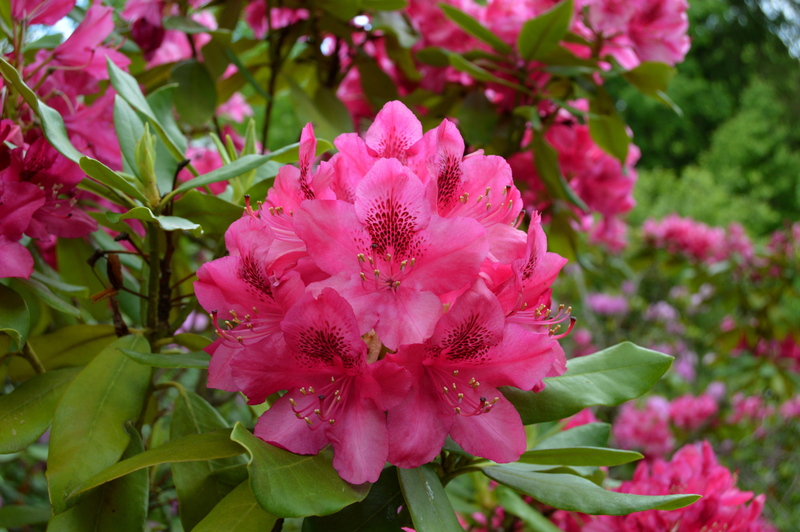 The rhododendrons were in full bloom and looked beautiful. Even to this day, I think I am in candy land when I see them. It amazes me how much the shape of pasta influences what I want to eat with the pasta. 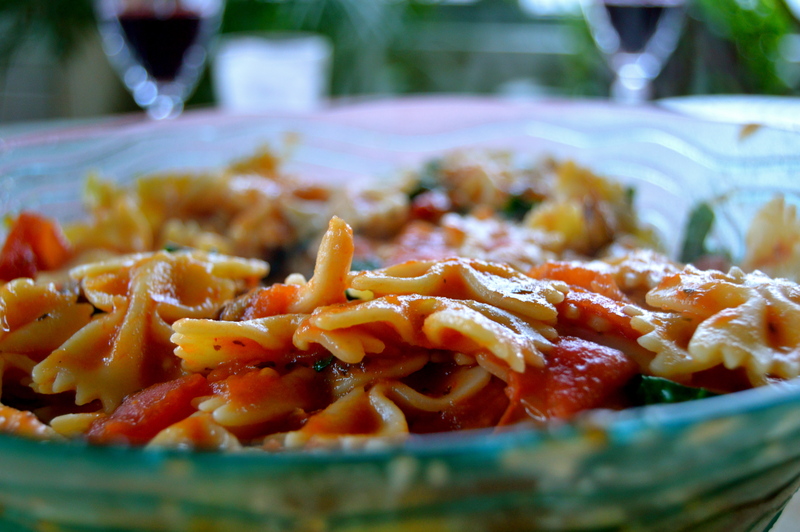 For me, spaghetti cries meat – either in the form of a meat sauce or meatballs. Yet the delicate angel hair goes splendidly with lots of sautéed vegetables. Pappardelle is possibly my favorite pasta, and I really like eating it with a ragu. 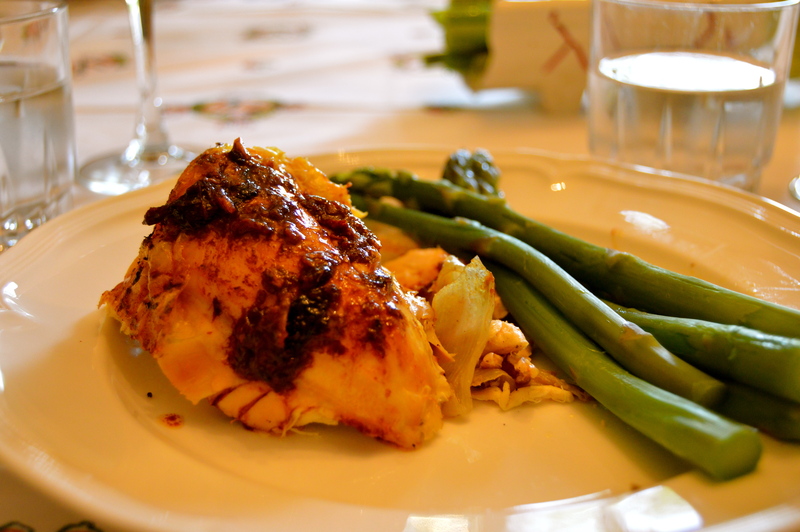 This dish might as well just whisper the word “comforting” in my ear. Penne pasta is amazing with fresh mozzarella and basil. Tonight, I wanted to try and use a pasta I rarely use but is still absolutely delicious – farfalle (also known as bow-tie pasta). Farfalle are so cute, and all of their ridges are great for holding pasta sauce. I was inspired by ingredients in my kitchen to make the dish described below. We had spinach, mushrooms, and tomatoes in the fridge, so I incorporated this with the farfalle. We also luckily had a bottle of opened Pinot Grigio, so I added this to the sauce. My parents and I enjoyed the farfalle with a glass of wine. 1) Bring a large pot of salted boiling water to a boil and cook the pasta. 2) Meanwhile, in a medium saucepan, heat 3 tablespoons of olive oil under medium-low heat, and add the garlic. Remove the garlic pieces after a minute. 3) Add the tomatoes, Herbes de Provence, the wine, and some salt and pepper. Lower the heat to low, cover the saucepan and let the tomato mixture simmer for 3-4 minutes. Check after a minute or two to stir. 4) Put the tomato mixture in a large serving bowl, and let it sit while you cook the mushrooms. Add the remaining tablespoon of olive oil to the saucepan under medium heat and add the mushrooms when the oil is hot. This will let you avoid washing a lot of dishes! 5) Cook the mushrooms for 3 minutes, and pour the tomato white wine mixture back in the saucepan with the mushrooms. Also, pour in the tomato sauce and cook until the sauce is hot. 6) Once the pasta is cooked, drain all of the water with a sieve. 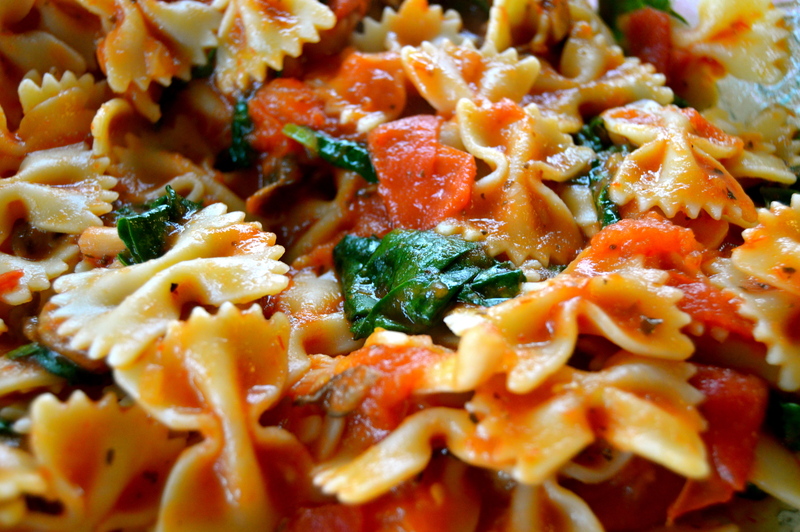 7) Put the spinach in the bottom of the serving bowl, and pour the farfalle into the bowl. Add the mushroom tomato sauce and stir until the sauce coats the pasta. The sauce will wilt the spinach. 8) Add some salt and pepper and serve with parmesan cheese.